For many at Old Sturbridge Village, the first whiff of spring isn’t the aroma of spring flowers – it’s the smell of wood smoke and maple syrup, a sure sign that the sap is rising and spring is on the way. 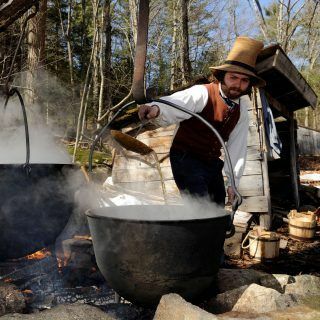 Join us for four weekends of “Maple Days” in March, when the Village’s working sugar camp demonstrates maple sugaring as it was done in early 19th-century New England. See the entire sugar-making process, from tapping the trees to “sugaring off,” and learn why maple sugar was more commonly used than maple syrup in early New England. Costumed historians will also cook period foods made with maple products and the potter and cooper will make maple related items. Production of maple syrup is one of only a few agricultural processes in North America that is not a European colonial import. Maples are usually tapped beginning between 30 and 40 years of age. Maples can continue to be tapped for sap until they are more than 100 years old. Once temperatures stop fluctuating between below freezing at night and above freezing during the day, sap stops flowing. Check Out our Maple Days Lodging Package! 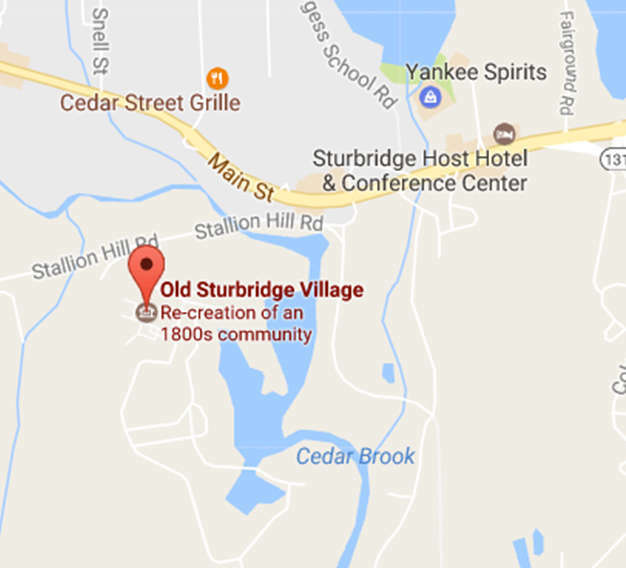 This package includes a stay in our award-winning lodges, 2-day admission to Old Sturbridge Village, a gift voucher to a local sugar house one mile down the road from the Village, and Sunday Brunch at the Oliver Wight Tavern!